hmm jsut one thing why there is increased duration on your helmet ? which makes the damage the zombies deal insane! still works good. i was going for strength + ES, but zombie leech doesnt apply to my ES so the idea doesnt work. technically ghost reaver only applied to your leech(since buffs goes to minions only when specifically mentioned minions, otherwise just to you), zombies leeched by baron AND dont have essence reaver for themselfs. flasks applied to minions is good if you can manage your defence somehow aka farming build, you can consider alchemist keystone for flask effect and duration aswell in this case. But imho in harder content you need to have flasks for yourself. cheers. can you recommend any gems for the beginning ? 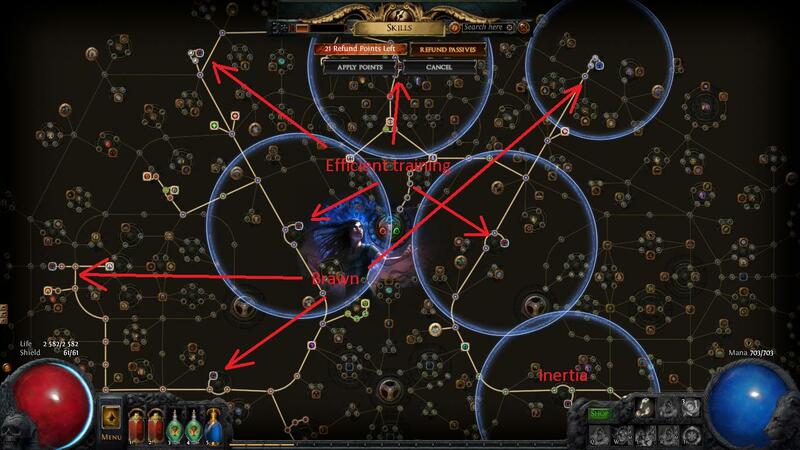 How's your Geofri's Sanctuary/Shaper's Touch version going? How much ES you ended up with? having a go using the baron helm & really loving the build so far. Would you mind showing what jewel sockets you insert the different threshold jewels into if you can. instead of Femurs of the Saints staff for 6l zombie setup? And cheaper too.